Successfully Added Mini LED Projector - 45W LED, 1080p support, 75 ANSI Lumens, Manual Focus Lens, 2W Speaker, 3.5mm Headphone Jack to your Shopping Cart. This LED mini projector offers the perfect way for you and your family to enjoy your favorite movies in absolutely stunning quality. With an image size up to 70-inches, it truly lets you undergo a cinematic experience from the comfort of your own living room. From now on, you’ll be able to throw amazing movie nights for friends or simply spend a relaxing evening at home with the family. 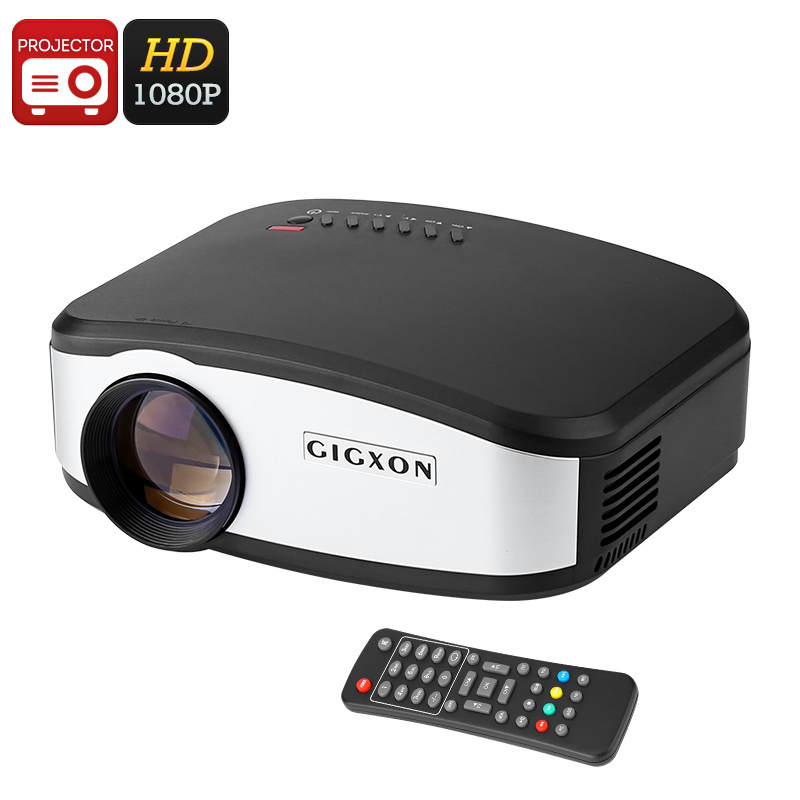 It features a 0.5 to 3m projection distance which makes this LED home projector perfect for smaller rooms such as a living room or bedroom. Naturally, it can also be used in small offices for presentation and training purposes. With its 45W LED light, this mini projector is capable of bringing forth bright images. This allows you to enjoy your favorite media in mesmerizing detail. The 125mm manual focus lens will make sure that you’ll always be treated with sharp images. The projector furthermore supports both 16:9 and 4:3 aspect ratios. Thanks to this, you’ll be able to enjoy both widescreen and regular TV movies in their fullest glory. By supporting 1080p media files, this mini projector is capable of projecting the vast amount of latest movies and series onto your wall. Just grab yourself some popcorn, sit back, and enjoy a stunning movie experience without ever needing to leave your home. An abundance of different input ports allow you to hook up this mini projector to different media sources. Project images from your PC or TV straight onto your wall or use a USB stick. This LED projector brings along high usability. Thanks to its size, it furthermore is extremely portable. You’ll be able to slide it in your bag and carry it along to friends and family. No matter where your next movie night will take place, with this portable mini projector you’ll always be able to enjoy your film as if you were actually visiting the theater. Coming with a 2W intergraded speaker, it even treats you with high-end audio. For those of you that wish to enjoy a movie in peace, it also comes with a 3.5mm headphone jack.